I have a time gap of 55 mins to catch next train. Will I be able to take it? @Ravi_Kumar56 Since train no. 12957 Swarna Rajdhani Express is yet to start from the source station that is Ahmedabad Junction at 5:40 PM today. 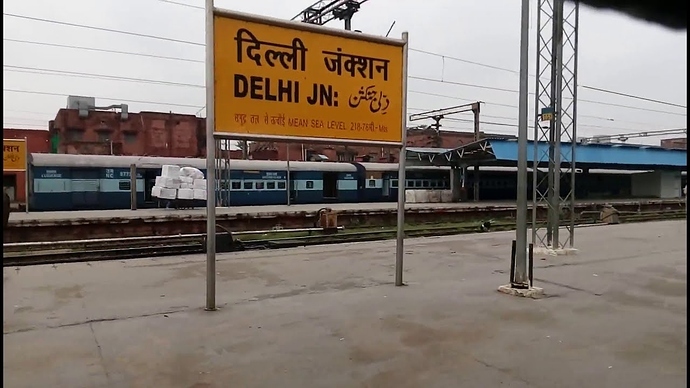 The train arrives at New Delhi station on an average delay of 5-10 minutes. I suggest you keep checking Running Status on the app to stay updated about the possible delays on the route and also check the section of Train Route to get a better idea of the average delay timings on the arrival to each station. Both cases you would NOT getting 55 mins as a bridge. This is almost all ways relevant; and especially during winters.